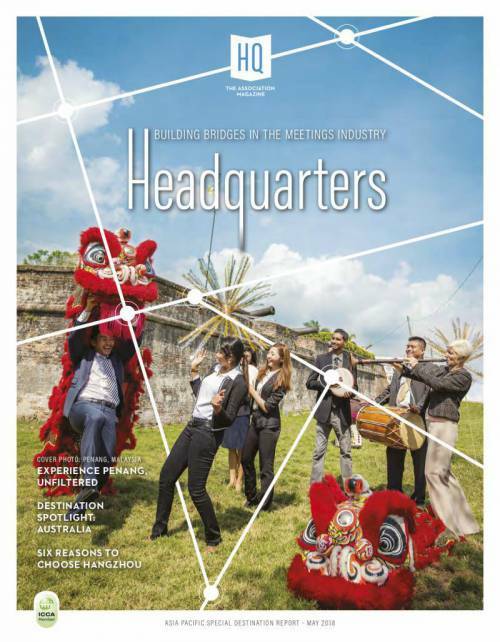 Istanbul CVB launches a brand new planners’ toolkit for meetings & events! 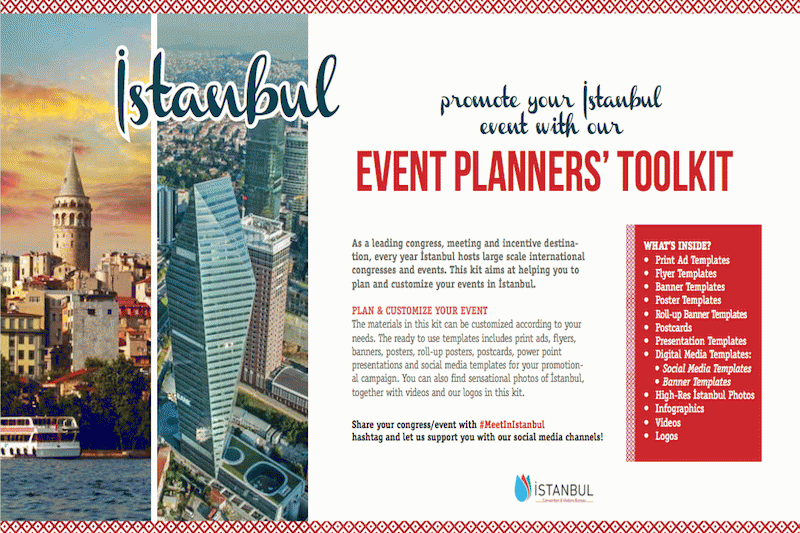 Designed to provide associations with easy-to use, comprehensive marketing tools for congresses and events in Istanbul, Istanbul CVB’s new Istanbul Event Planners’ Toolkit contains various options and can be customized according to your needs. Moreover, planners can insert their own logo into the materials before sending out. General Manager of Istanbul CVB, Mrs. Ozgul Ozkan Yavuz adds: "Istanbul continues to be one of the top places for meetings and conferences. We have been witnessing a busy congress calendar especially for October and November. Recently, Istanbul hosted the World Energy Congress with 10.000 delegates, World Congress on Human Resources Management with 3.000 delegates and many significant congresses like EUROSOIL and so on. 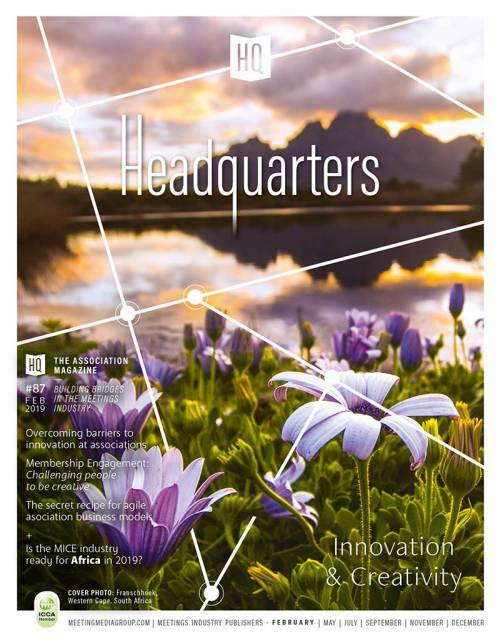 Ahead we are looking forward to host the Universal Federation of Travel Agents Associations’ (UFTAA) Golden Jubilee Congress between 25 – 26 November and International Congress of Management Economy and Policy between 26-27 November. With all the feedbacks from the associations, organisers as well as our members, we have decided to release this marketing tool according to their needs and we put together different ready to use materials in one package. We believe that this kit will help planners to promote their event in Istanbul more effectively and hope that the kit will boost the number of delegates for their meetings and events." The kit contains ready to use templates including print ads, flyers, banners, posters, roll-up posters, seasonal postcards, power point presentations and social media posts for your marketing campaign. You can also find high-res photos of Istanbul, together with videos and logos in this kit. Available free of charge from Istanbul CVB’s web.